Welcome to another exciting week of Once Upon A Table, where our house is your horse. 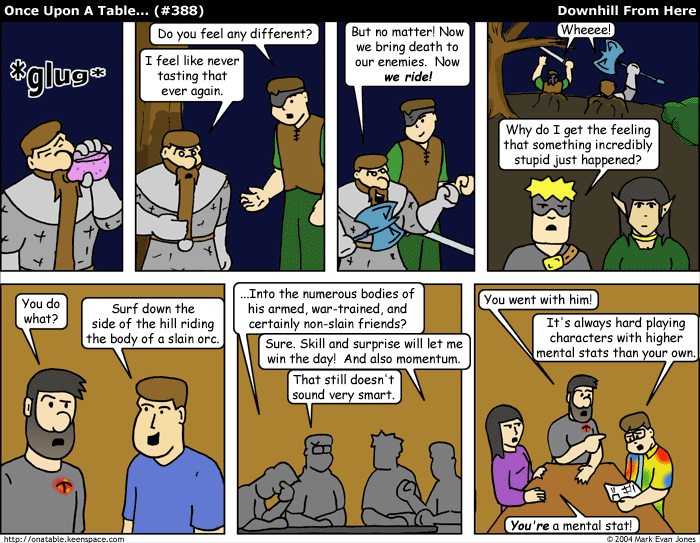 If this comic has a tradition, it’s having characters ride upon the backs of other characters. An odd tradition to be sure, but all of the good ones were already taken. My only other choices were “Character repeatedly gets necktie stuck in things” or “Every conflict is somehow resolved though the use of a canned air dispenser”. But someone beat me up before I could choose those, so I was stuck with the back-riding thing.